When a Hollywood scandal erupts the first inclination is to blame the starlet involved. After all, how could they be completely "innocent" if they are on the path to success in such a wicked place as Hollywood? As easy as it is to jump to conclusions, it is important to keep in mind that a wicked town like Hollywood is a place where innocent girls can be taken advantage of. Finding out who is taking advantage can be even more shocking. No matter how much glamor and fantasy we attach to the film industry, keep in mind that at its base, Hollywood is a place to make money, and we all know what money is the root of. Fortunately, some of the starlets who were the most taken advantage of are able to learn and grow from the experience. Mary Astor is best remembered for twisting Humphrey Bogart's world as the manipulative Brigid O'Shaughnessy in The Maltese Falcon (1941), but she was no stranger to having others pull the strings in her own life. Born Lucile Vasconcellos Langhanke in Quincy, Illinois, 1906, the only child of a pair of school teachers. Her father was an immigrant from Berlin and her mother was of Portuguese and Irish ancestry. Her father was let go from his position because of his German background during WWI, so while he took up light farming, he homeschooled Lucille and taught her to play the piano while her mother gave her lessons in drama and elocution. The family moved to Chicago in 1919, and on a whim, Lucille sent photos of herself to a beauty contest in Motion Picture Magazine. After a couple of tries, the judges selected her as a finalist and eventually runner-up in the nationwide contest. Her parents realized that she might have a future in motion pictures, so they moved to New York in 1920 to be near the studios and her father became her manager. Photographer Charles Albin shot some very flattering pictures of her which he showed to Jesse Lasky of the Famous Players-Lasky Studios, a forerunner of Paramount Pictures. D.W. Griffith was asked to give her a screen test, and he assigned it to his protégé, Lillian Gish. Miss Gish was impressed that she could recite "anything from Shakespeare" and shot a thousand feet of film of the newcomer. Although Griffith scolded her for wasting so much film, she assured him "she's got some quality that you could use and you would like". Griffith saw it too, however, he said, "Yes, but every time I look at her father I hear a cash register ring." Lasky sat down with producer Walter Wanger and columnist Louella Parsons and selected the name Mary Astor for his new find, and she had her first assignment at the age of 14 in Sentimental Tommy (1921), although her work wound up on the cutting room floor. Paramount in New York let her contract lapse and the family moved to Hollywood where she was again signed by Paramount for $500/week. Warner Bros star John Barrymore saw her picture and wanted her for his Beau Brummel (1924). Paramount loaned her to Warners, but her parents were incredibly watchful over her. Barrymore did make a play for the young girl (just 17 at the time), offering private acting lessons but only if her parents were not around. The couple did become secretly engaged, but the Langhankes quickly blocked the relationship (Barrymore soon shifted his attentions to Mary's fellow WAMPAS Baby Star Dolores Costello). The Langhankes bought the Moorcrest Estate, a Moorish mansion on a full acre in the hills above Hollywood. When she was not working, Mary was kept a virtual prisoner on the grounds while her parents lived lavishly on her earnings. When she was 18, a friend of the family helped her to negotiate the right to travel between home and work without her mother's chaperonage, and a $5/week allowance (her salary at the time was $2,500/week). The next year she climbed out a second-story window, fled the Moorcrest grounds and checked into a hotel. Her father finally allowed her a $500 savings account and the freedom to come and go as she pleased, but she would not gain control of her earning until she was 26 years old. She signed with Warner Bros after her contract with Paramount ended in 1925, and she was selected as a WAMPAS Baby Star in 1926. She next signed with Fox for $3750/week, and in 1928, she married director Kenneth Hawks. The wedding was at Moorcrest, and Hawks gave her a Packard automobile as a wedding present. She was making her first talkie, Ladies Love Brutes (1930), when Hawks, who had served in the Army Air Service during WWI, was killed in an airplane crash over the Pacific. Mary continued to work until a delayed reaction to her husband's death brought on a nervous breakdown. She was treated by Dr. Franklyn Thorpe, whom she would marry in 1931. The couple bought a yacht in 1932 and sailed to Hawaii where their daughter, Marylyn Hauoli Thorpe, was born. When she returned to California, she starred in Red Dust (1932) with Clark Gable and Jean Harlow. Her parents, who still controlled her earnings, continued to spend lavishly and invested heavily in the stock market, which turned out to be a bad idea. They were forced to sell Moorcrest (Mary's father expected the estate to sell for $80,000 at auction, the highest bid was $25,000) and sued Mary for support. They were awarded $100 per month. Growing ever more dissatisfied with her marriage, she traveled alone to New York in 1933 for a break from movie making. While there, she met playwright George Kaufman, whom she entered an affair with, the details of which she recorded in great detail in her diary. The Thorpe's finally divorced in 1935, and a few months later, Dr. Thorpe sued for custody of four-year-old Marylyn, threatening to present Mary's diary as evidence (which had been stolen from Astor's desk). The diary was never formally entered into evidence because pages had been torn from it, and Mary claimed that many of the raciest details were, in fact, forgeries, but passages from the diary were leaked to the press. Mary was shooting Dodsworth (1936) during the scandal, and studio boss Samuel Goldwyn was encouraged to fire her (due to the morals clause in her contract). He refused and the picture was a hit. The scandal had little effect on her career, and she went on to appear in The Maltese Falcon, which she followed up with The Great Lie (1941), co-starring with Bette Davis and winning the Academy Award for Best Supporting Actress. In 1943, she signed a six-year contract with MGM, leading to a series of mediocre "Mothers for Metro" roles. Dissatisfied with her work, she began drinking heavily and entered a sanitarium for alcoholics in 1949. One night in 1951, Mary called her doctor to tell him that she had accidentally taken too many sleeping pills. Although she maintained it was an accident, the incident was recorded as an attempted suicide. Later that year she entered Alcoholics Anonymous and adopted Roman Catholicism. In 1959, she published her first autobiography, which was received so well that she began writing novels as well. Her final picture was a small part in her friend Bette Davis's Hush… Hush, Sweet Charlotte (1964). Her 45-year career included 109 pictures, and she spent her final years living in a cottage on the grounds of the Motion Picture and Television Country House. 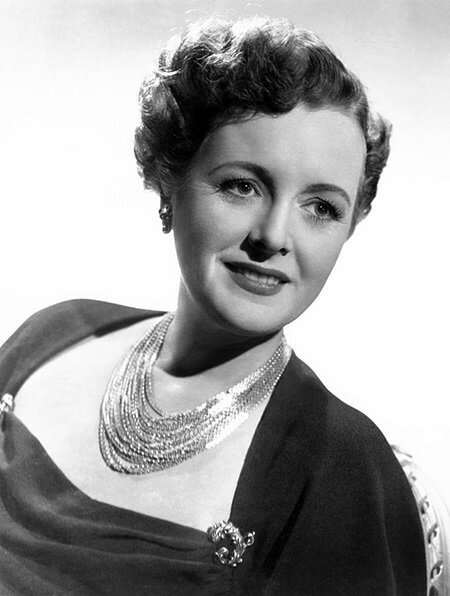 Mary Astor passed away on September 25, 1987, at the age of 81. A Star on the Hollywood Walk of Fame at 6701 Hollywood Blvd was dedicated to honor her contributions to Motion Pictures. 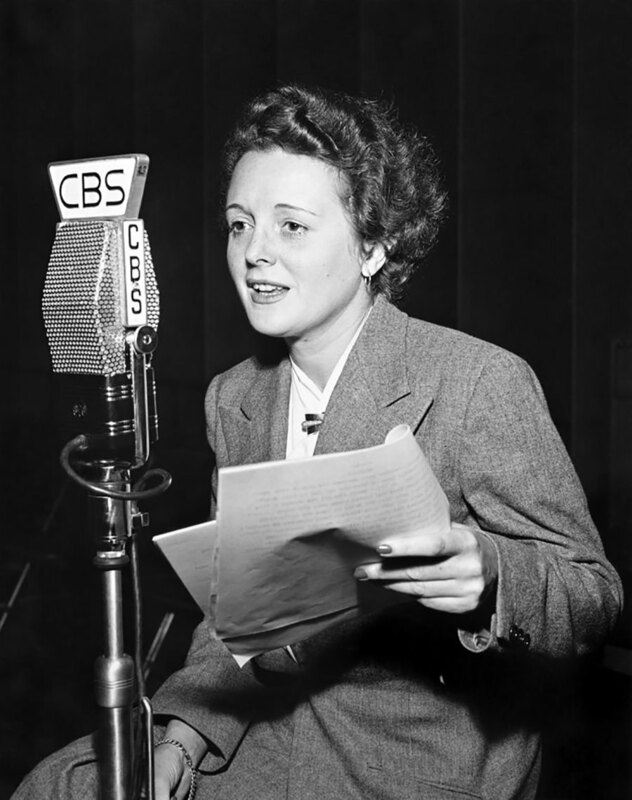 Be the first to comment on "Mary Astor"